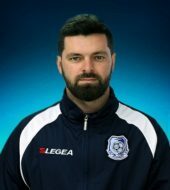 Director: Artem Vyderko, Director of FC Chernomorets Sports School of Ukraine Premier League. Previously he was an Assistant Director at the World Famous Shakhtar Donetsk Academy. He was born on December 10, 1986. He graduated from the Odessa Regional Institute of Public Administration of the National Academy of Public Administration under the President of Ukraine and the Odessa State University of Internal Affairs. 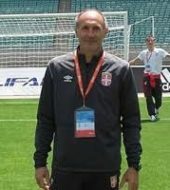 Since February 2014 – Director of the Sports School “Chernomorets”. CAMPER TO STAFF RATIO: 1 Staff member for every 8 Campers. STAFF: COACHES AND TRAINING METHODS from the best SOCCER ACADEMIES IN THE WORLD. Manchester United, Barcelona, AJAX and PSG (Paris). These EUROPEAN CLUBS HAVE THE BEST YOUTH SOCCER ACADEMIES IN THE WORLD and our staff members worked there and will bring those training methods to our camps this summer. 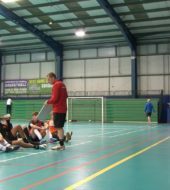 Our staff is the most educated, experienced and accomplished soccer coaches teaching at any camp in the county. 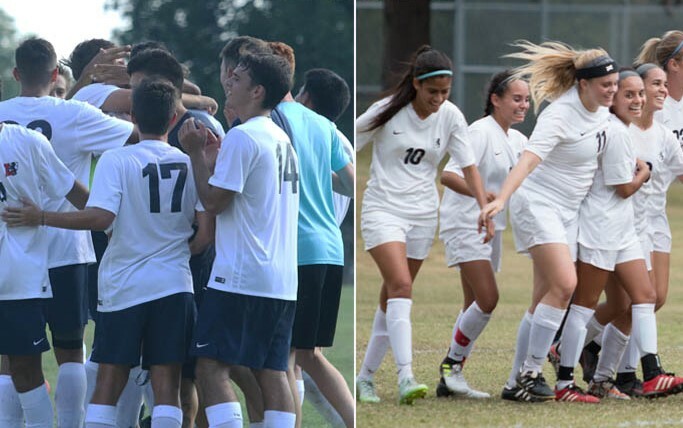 Our staff is made up of male and female professional players, college coaches and youth coaches who are licensed by the UEFA, USSF and NSCAA. 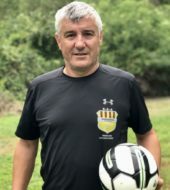 Jose Luis Ramirez creator of Barcelona Soccer Academy Methodology with the highest coaching license in the world UEFA Pro License and a University Degree in Physical Education. He is a Barcelona native with over 30 years of coaching experience and has coached such teams as, Gimnastic de Tarragona a second division Pro Spanish Club, Al Sadd SC, Remo Stars FC and assisted Malta First Division.Jose Luis Ramirez – FC Barcelona collaborated with Jose Luis Ramirez Barcelona with the Futbol Academy in Casablanca (Morocco), Jose is 100% knowledgeable and fluent in the FC Barcelona methods. Tayrne has been a Premier Soccer Camps staff member for the past two summers. She was a member of the U-20 Canadian National Team. She represented her country in the FIFA U-20 Women’s World Cup in Moscow, Russia. Tayrne started in two of Canada’s three matches in the World Cup against Finland and Nigeria … Saw action in preparation for the World Cup against such nation’s as Australia, China, Finland and Mexico Tayrne played for Canada’s U-18, U-16 and U-15 national teams. Ms. Boudreau was one of the leading scorers in the history of the LSU Soccer program during her five-year career from 2007-11 with 21 Goals 19 Assists for 61 points. Sina Badri is a Coach at the World Famous FC Barcelona Soccer Academy. 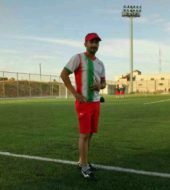 Sina has worked as a Working as a Head Coach, Technical Manager, Trainer, Fitness Coach, Scout, Analyst. 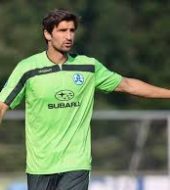 His experience include working with Professional Teams Turkish FC Edmonton, Sepahan Academy, Arash Rah (Iran Professional Leagues) and Pars Football Agency. However, Sina’s most valuable experience is working with FC Barcelona. He will bring the FC Barcelona Training methods to our campers in America. Stefan Maletic, is our Director for our University of CA San Diego location. He currently is the U-17 Coach for Dutch Premier League Eredivisie Team Betaald Voetbal De Graafschap. 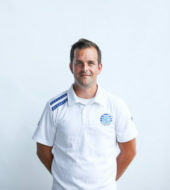 Stefan is one of two Coordinators for the Soccer/Football Curriculum for the entire club[s Academy structure. Essentially the highest level of Youth Soccer in the World and Europe. https://www.degraafschap.nl/voetbalacademie/organisatie-seizoen-2018-2019/. Stefan has a UEFA “A” License and has played professional football/Soccer in across Europe with clubs in England, Holland and Germany including Burton Albion Football Club, Achilles’29 Groesbeek, SV Stuttgarter Kickers E. V. All our players who are coached by Stefan will be coached by a person who is coaching at the highest level of youth soccer in the World and played professional soccer/football in Europe. Stefan’s two young sons will be attending camp as well. Dan Barber has coached for Manchester United charged with the responsibility to deliver the Man U playing methods Internationally and in Great Britian. 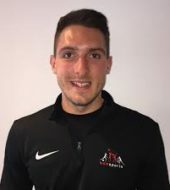 He has a UEFA (European) Coaching License with 6 years’ sports coaching experience as an International Lead Coach at Premier League level now for over 6 years.